Arjun Kapoor has proved his excellence in acting time and again and has even garnered a huge fan following since his debut in the industry. However, director Ashim Ahluwalia feels that the actor is an under directed actor and that he has a lot more potential. Singing praises for Rock On actor that no one has directed Arjun as per his potential yet. "I think Arjun is very under directed actor, people haven’t directed him. I am sorry to say, but I just don’t see it. He has potential and I feel to actually maximise someone’s potential you need to know what they can offer, you have to be able to push them,” Ahluwalia said in a statement. “If the director is always giving into the actor or the star then no one is going to direct them,” the director added. 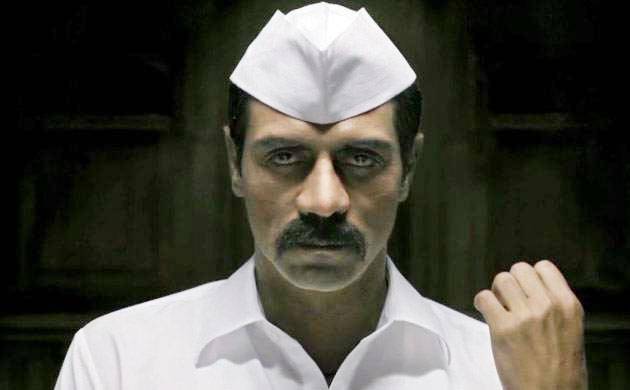 Interestingly, Ashim will be working with Arjun in his upcoming movie Daddy, where the actor will be seen playing the role gangster-turned-politics Arun Gawli. Rampal is indeed quite ecstatic to be a part of the movie. Talking about the same the actor stated, “Something like this has never been done before. No one has made a true story based film on a living gangster or someone who has gone away. This was the first time someone actually went out there and did it in a realistic manner. “And that’s what made it exciting. Plus I was working with a director who is purist at heart, who is not going to compromise. He is going to fight with me and tell not to do something that is out of character. Here everything we have kept pure and real, the way it was meant to be,” he added. Also starring Aishwarya Rajesh, Nishikant Kamat, Anand Ingale, Shrikant Yadav, Vijay Sanap and Abhimanyu Arun in pivotal roles, Daddy is scheduled to release on September 8.